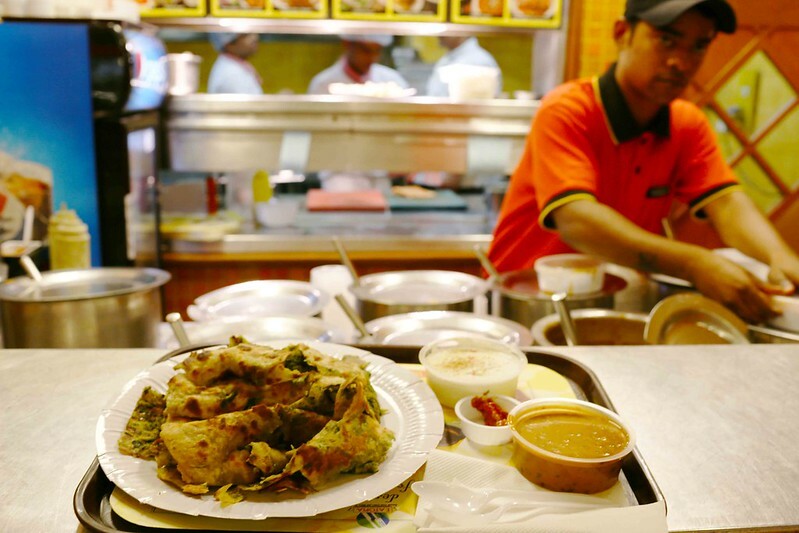 Why should you go all the way to Parathe Walli Galli, in Old Delhi’s congested Chandni Chowk, to have delicious deep-fried parathas when you can get Delhi’s most delicious (and non-deep fried!) 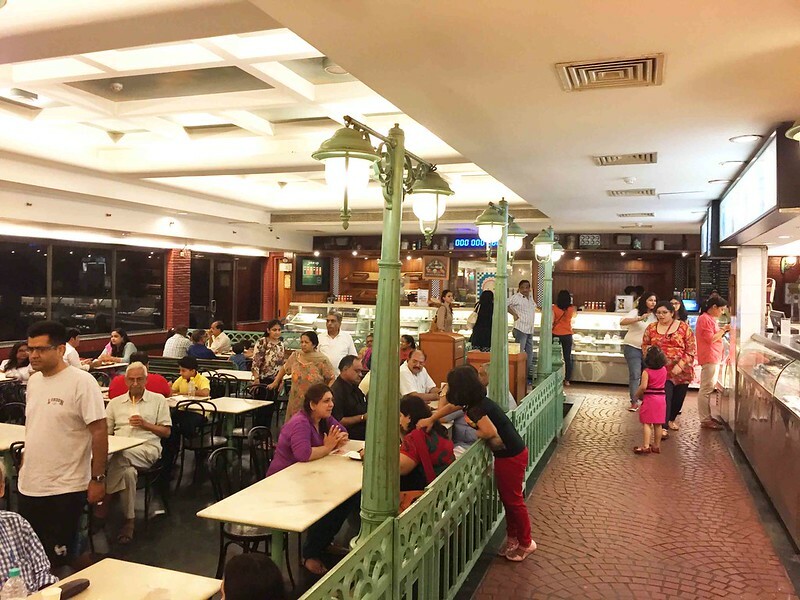 paratha in a more conveniently-located place? Let it be known that the best paratha in the capital is to be had at the crudely-named Eatopia food court in Central Delhi’s India Habitat Center. Yes, yes, this is not a romantic address—no bylanes, no milling crowds. Eatopia is a shockingly sanitized family-friendly place with too many children running about during evenings. Still, the paratha is worth the visit. It’s called Jodhpuri Paratha (no connection with Jodhpur pants). And don’t let its ugly sight bother you. 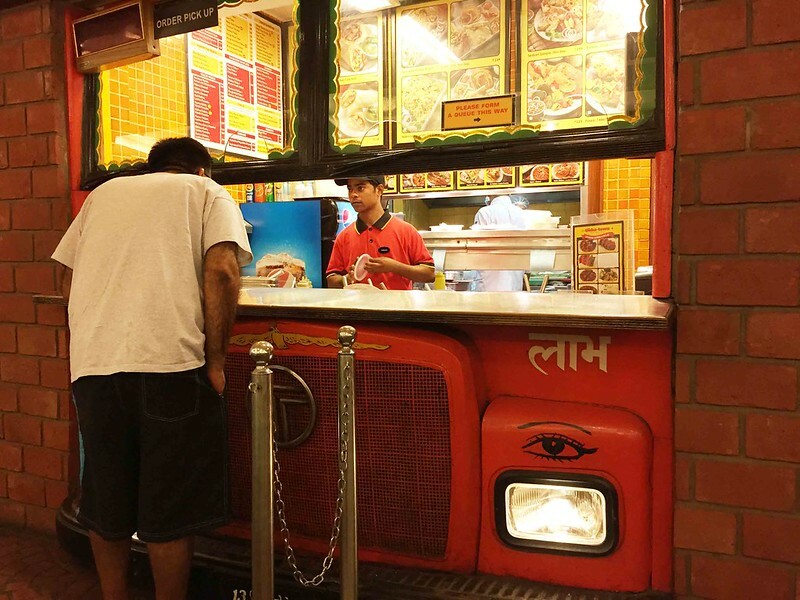 The food court has four counters and our paratha is made at the truck-shaped Tikka Town. 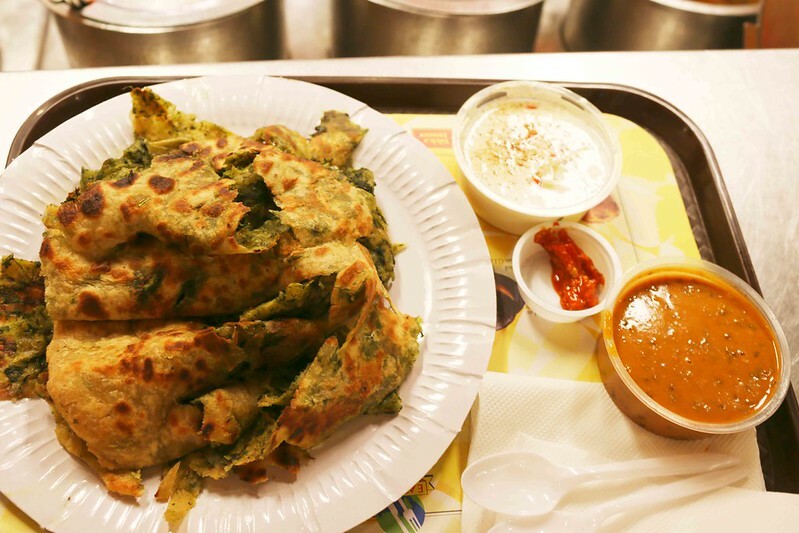 Stuffed with spinach and onions, it is accompanied by dal makhani and mixed raita. 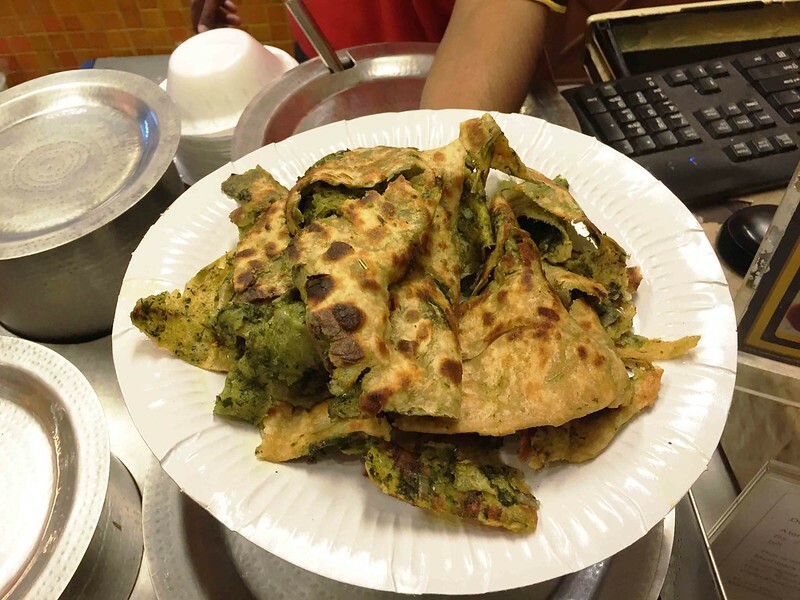 A paratha is traditionally served as a whole but the Jodhpuri paratha is crushed into bite-sized pieces and all you have to do is to pick up the pieces one by one and toss them into your mouth. (Apparently, that’s how they eat in Rajasthan’s Jodhpur, the cook told me.) Some people call it choora (crushed) paratha for obvious reasons. Each piece is crisp and seems to be the best part of the paratha until you move to another one. The spices are perfectly balanced and the paratha has the comforting taste of a home kitchen. There are no extra frills added to it as is customary in the bazaar versions. It seems just like what a mother (or father, for gender activists) might make on a Sunday morning with all her (or his) limitations and love. Sadly, like all beautiful things, this paratha too has a flaw. It doesn’t travel well. Don’t get it packed for home. I have no idea why the so-called Parathe Waali Gali is soooo famous! Compared to the rich and fragrant tandoori parathas of the Punjab/Haryana region, their deep-fried wheat discs seem mediocre at best. They should stick to making poori-aaloo and halwa. Thanks for sharing the paratha with me! Wonderfully, wonderrrrrfulllly written! Dil khush hogaya! Tabyat taaza hogayi! Craving parathas now! This looks really good! I agree, Parathe Walli Gali is highly over-rated. For sure, Paranthe wali Gali is over- rated for Paranthe. But it is best in deep fried version of Paranthe.